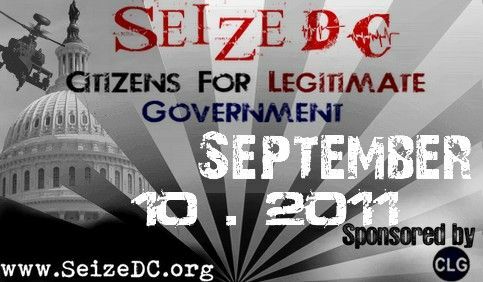 SeizeDC.org --Citizens for Legitimate Government (CLG) calls for protest – SEIZE DC! SEIZE DC will begin on September 10, 2011, at noon, until finished. Why SEIZE DC? Endless, illegal, murderous and bankrupting war abroad; endless, brutal and bankrupting attacks on the vast majority at home--this is what we protest. How to SEIZE DC? We protest "peacefully," although not passively. We do not accept marching orders. This is how we protest.